Rate this Article What is “social gaming” and how does it add flavor to the average player’s gaming experience? Let’s take a look! When it comes to social casino games, there is one main aspect that separates them from all the other online casino games – the fact that it is a social game. However, what actually is this “social gaming” and how does it contribute to enhancing or as some may call it “add flavor” the player’s gaming experience? Let’s take a look! According to Wikipedia, the term “Social Gaming” refers to online games that allow or require social interaction between players. This is in stark contrast to the old-school single-player games where players play games by themselves. After all, games are always more enjoyable when played with friends! In social casino games, this social feeling can be triggered through a wide variety of features or methods. Some of these features can be a bit more competitive, such as having a leaderboard or being able to challenge friends to a poker match; while others are... well, friendlier in nature. For example, being able to buy someone a virtual beer on Zynga Poker, or being able to customize your avatar on Vegas City Slots, or even a VIP store with cool rewards on Poker Stars Casino. Chat systems and forums that are set up both in-game and out also allow players to interact with one another and from there, social connections can then be forged. In fact, for most casino games, the chat system frequently play a rather important role to fill in that social void that online games often have. This is especially true for poker games where players would often congratulate you if you managed to pull off a truly skilled bluff. Of course, when socializing is involved, we mustn’t forget about how effectively many social casino games utilize the widespread of social networking sites like Facebook to easily and painlessly help you to link up with your fellow players. Some games may even encourage players to meet and add new friends by allowing the exchanging of gifts among friends, which can range from extra coins to collectibles. For certain games, you can share your latest jackpot win with your friends so they can grab a couple of coins too. Now, with the advent of virtual reality gaming, there are even more ways for social casino games to add that extra proverbial spice to enhance the flavor of social casino games. 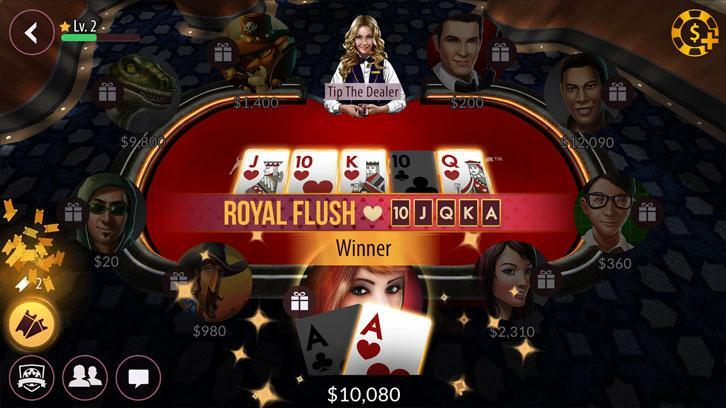 Not only can virtual reality increase the immersion of these games through adding in some measure of realism; social casino games can also further upgrade their social features by, perhaps, allowing voice chatting. Some companies, like SlotsMillion, have even gone as far as to create massive virtual 3D casinos, where players can walk around and interact with other players like they would in an actual casino, through the use of virtual reality controllers. Naturally, as our virtual reality technology advances, one can only imagine what sort of additional surprises that we might get from these innovative online casinos! At the end of the day though, it’s important to remember that we all are humans and by nature, we are instinctively social. By making online casino games more social, online casino sites and companies will be able to fulfill their players’ social needs, while at the same time, giving their games that extra flavor which will help these games stand out from an already oversaturated online casino market.